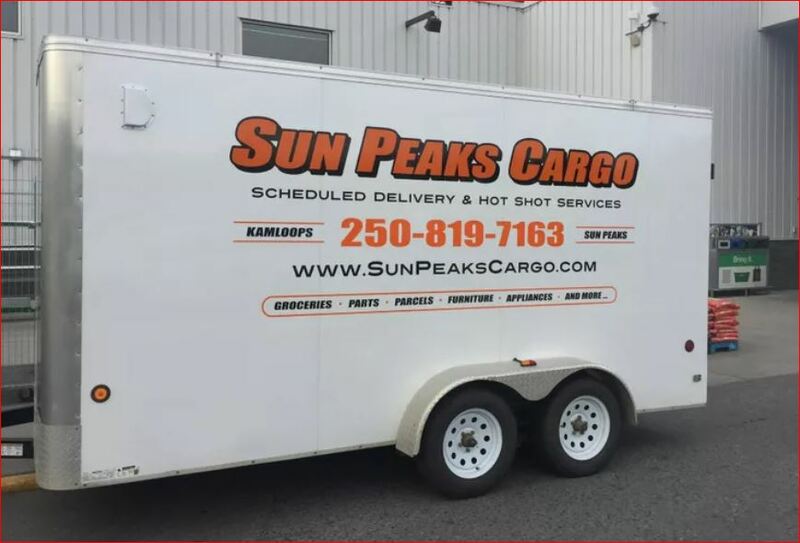 Sun Peaks Cargo is a fantastic and convenient new Sun Peaks Service that allows anyone coming to Sun Peaks to shop online for all their groceries ahead of time, and have their Sun Peaks groceries delivered right to their accommodation in Sun Peaks. For a small surcharge, they will even load up your fridge/freezer items and leave the other groceries on the counter for you. Why waste time and money driving around Kamloops trying to load your already fully-loaded vehicle up with enough groceries to last the duration of your vacation? Michael Shaw is the hard-working young man who is providing top-notch service to Sun Peaks guests who are thrilled to be able to avoid the lengthy stop in Kamloops to search for and pick up their groceries. This is even better news for those who take a shuttle bus to Sun Peaks and don't have a car to easily run around. There are many Best Sun Peaks restaurants and pubs to enjoy in the village, but it's always great to have some fresh groceries and refreshments back at your hotel room, condo, townhouse or chalet. Simply purchase your groceries online from one of the major grocery stores in Kamloops (links are available on their website, and confirm the timing with Mike so they can arrange to pick up and deliver your groceries. There is a very reasonable delivery fee of $20/grocery cart, and your grocery bill ends up being very little more than if you spent hours of your valuable vacation time picking up your own groceries - and he delivers them right to your door for you! It's only $10 more to have your groceries brought inside with the fridge/freezer items being unloaded for you. Payment for the delivery service can be made through Visa, Mastercard, cash or etransfer. Thank you for the prompt pick up and delivery of my items! All arrived in perfect condition and delivery was exactly as promised! Definitely will be using them again! We had Mike, Jodi and Trevor do a move for us today!! Absolutely outstanding service, very professional service!! I'd highly recommend them!!! 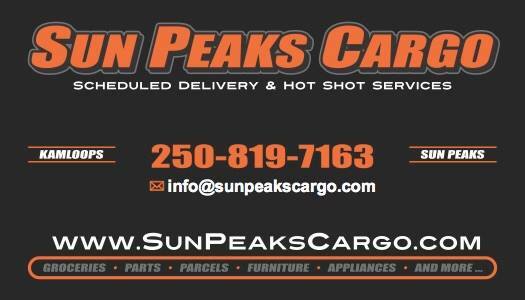 To arrange for a quote or to set up your delivery time, either complete and submit the form below and Mike will be in touch as soon as he can, or call via the numbers on the right..
You can also contact Mike via his Sun Peaks Cargo Facebook page. As of October, 2018, there is now also a Sun Peaks Taxi service operating in the resort too.